Appearance was very important to women during the 50s, 60s, and 70s. Ladies always looked their best when they stepped outside their homes. 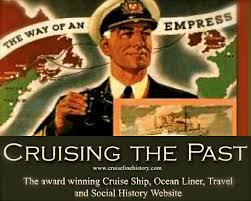 Newsreel clip of fashions 1950 onboard the SS Homeric. It didn’t matter whether they were going to the grocery store, the airport, to run errands or to pick up the kids from school. 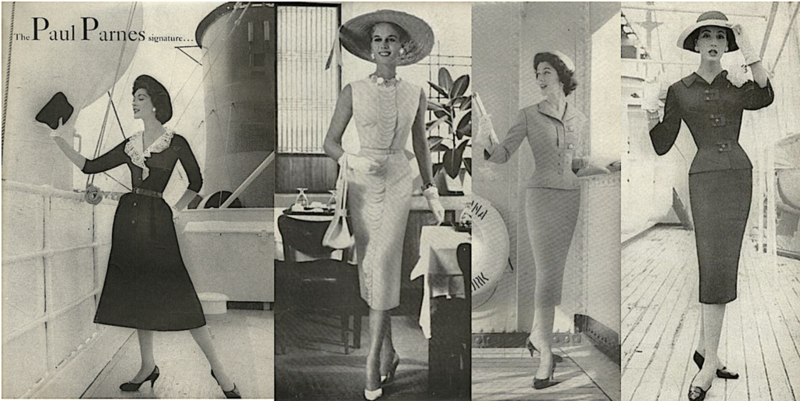 Aboard the SS Monterey in the 1950s. This was especially true for women of the 50s and 60s, just take a look at January Jones’ character Betty Draper from Mad Men. Betty’s make-up and clothes are always pristine no matter where she is going. 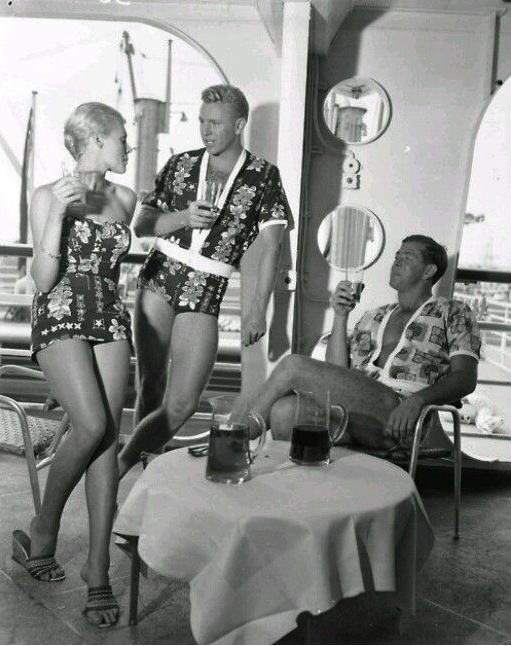 When traveling for vacation many women would go out and purchase an entire wardrobe just for this occasion. 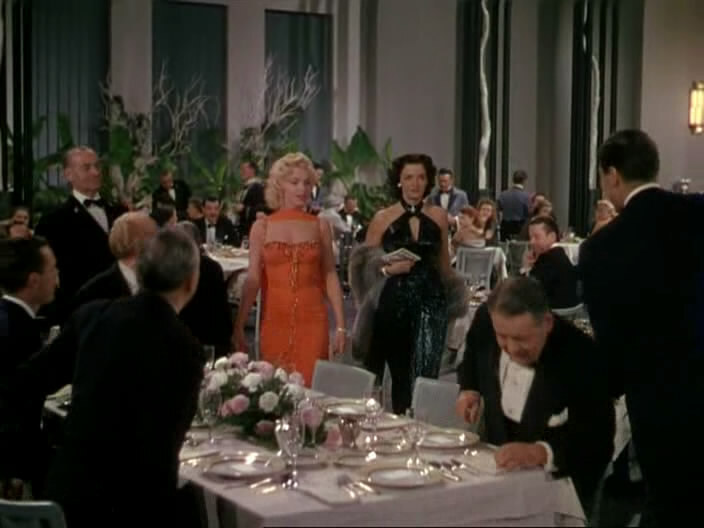 Marilyn Monroe and Jane Russell in “Gentlemen Prefer Blondes”! Remember Jane Russell and Marilyn Monroe aboard The French Line in “Gentlemen Prefer Blondes”? 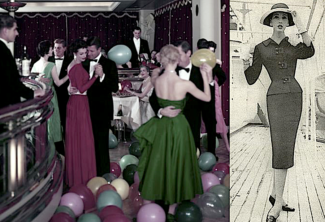 They are seen arriving in the First Class dining salon of the French Line ship. They are crossing the Atlantic from New York to France. The clothes that the models wore were all vacation or resort-inspired and featured elaborate details and accessories. Designs from these decades were elegant and glamorous. Fashion embraced a woman’s femininity and always featured bright colors, beautiful fabrics, and patterns. Lilly Pulitzer’s designs were very popular with women who were planning a summertime vacation. Her dresses were full of exotic colors and prints. Today the fashion scene is revisiting some of the trends of the past by incorporating the wide leg pant from the 70s into runway shows and of course bright colorful prints. 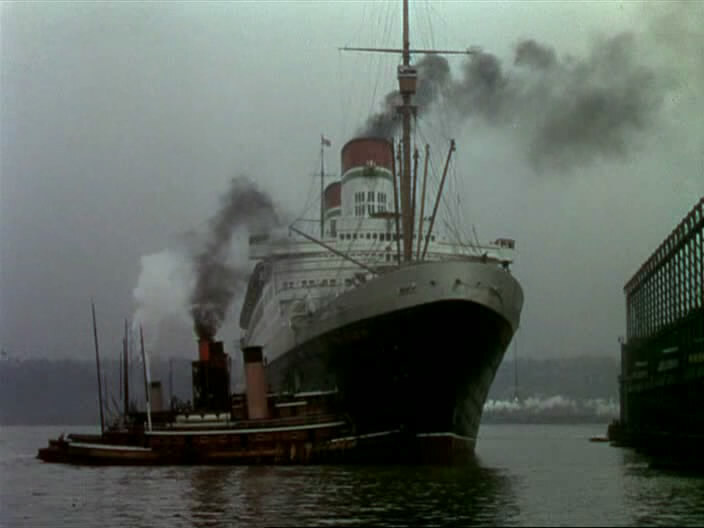 Next: RMS TITANIC – Germany’s 1943 Nazi feature film of the famous ship.